Home from college for the weekend and asked “where would you like to eat tomorrow”, our youngest said, “I really don’t care. Unless you want to go to that place for pimiento cheese.” I knew “that place” was Rosebud. So we headed to Morningside. Several years ago, we went to what-was-then-Food-101 / what-is-now-Rosebud for dinner with some friends and I raved about how good the pimiento cheese was (this was at the beginning of the PC craze). A month or so later, we took the girls back for brunch one Sunday and the pimiento cheese was an appetizer. 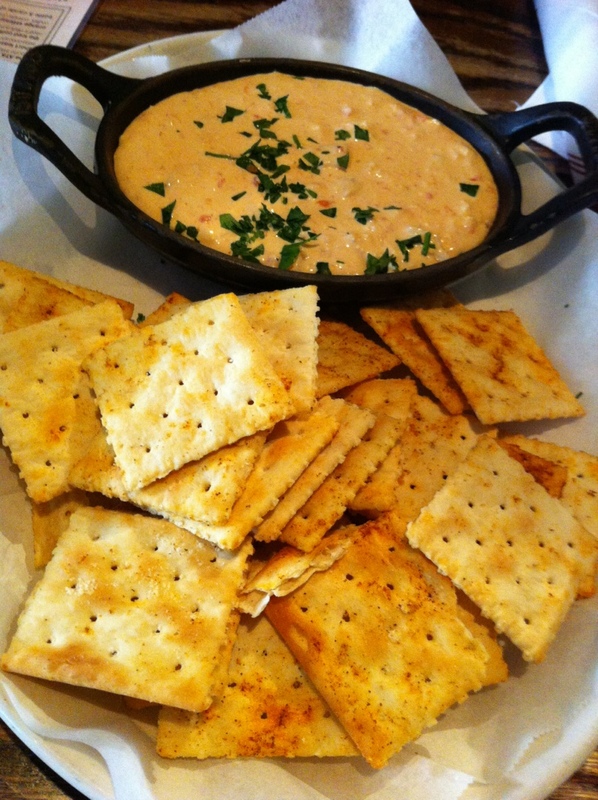 Since then, Rosebud has been the place with the pimiento cheese. We ordered it again for brunch today with their house-made saltines. It was (as expected) excellent. We cleaned the bowl and ate all of the crumbs. 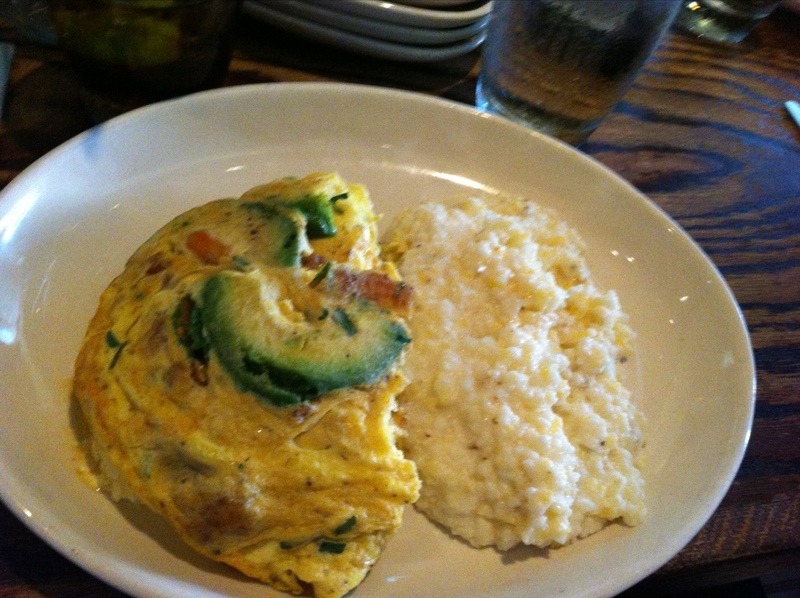 Jo had a tough time deciding, but chose the the blackened shrimp and avocado omelet with riverview farms grits, based on the advice of our waitress (who resembled Alicia Keys in both looks and tone of voice. She refused to sing however.) Jo proclaimed the omelet to be a good choice. Definitely winners all-around. 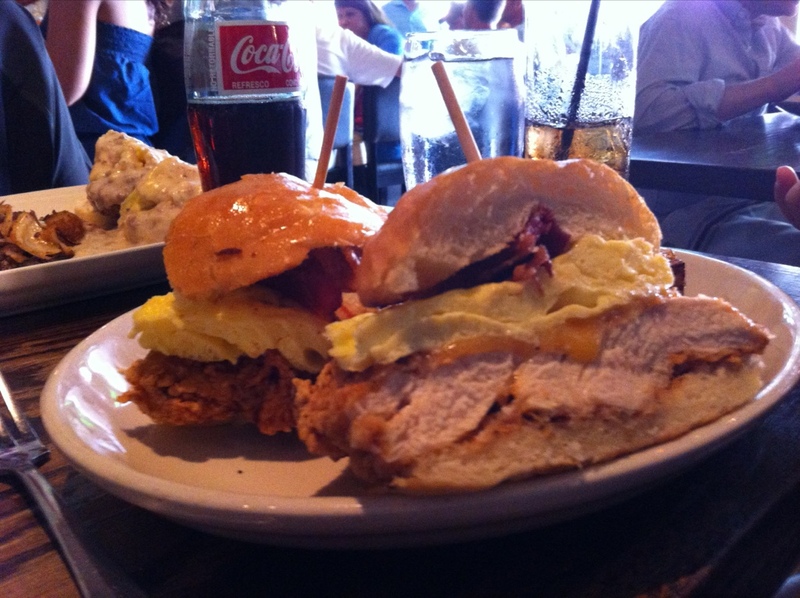 The chicken on the Big Nasty was HUGE – it could have easily made two sandwiches with the thickness and I had just as much on the Gordo. 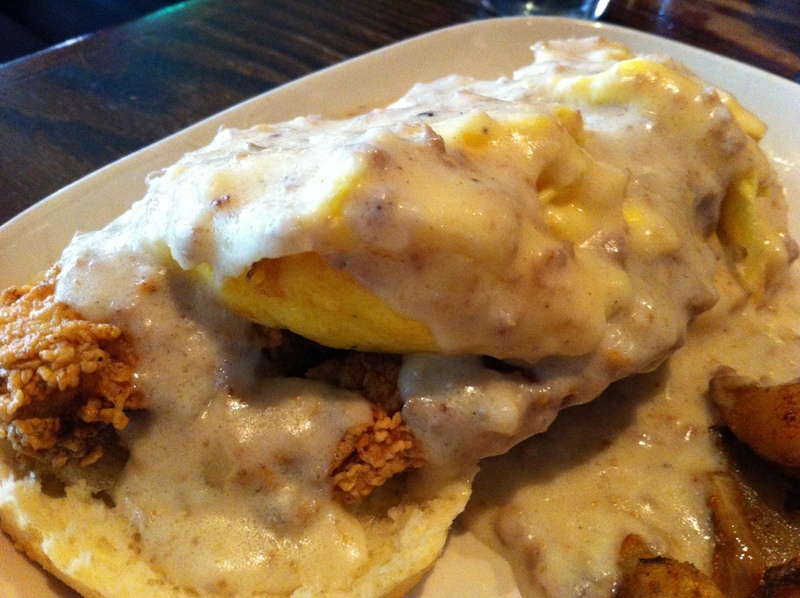 No shortage of food and an excellent choice for brunch.